St Johnstone FC Manager Derek McInnes is our latest Patron supporting our work in Scotland. Derek McInnes (born 5 July 1971) is a Scottish football player and manager. 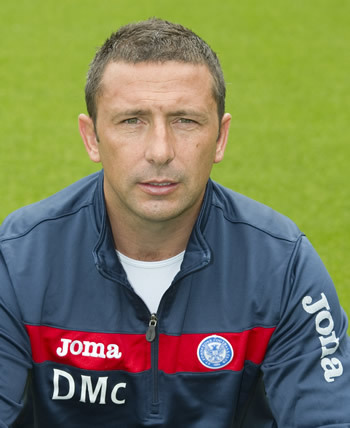 He is currently the manager of St Johnstone FC, having last played in December 2007. McInnes featured prominently for Greenock Morton, Rangers, West Bromwich Albion and Dundee United during his playing career. He won two caps for the Scotland national football team while with West Brom. Derek will be supporting our work in Scotland during our annual Fortnight of Action in October, at our club events and at our Creative Competition Ceremony and we are really excited about Derek's involvement throughout season 2011/2012.